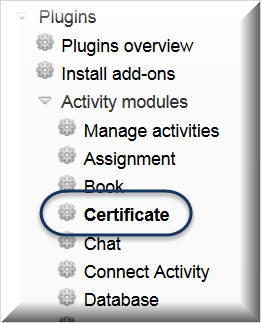 Refined Training (RT) has added several options to the basic functions of the certificate plugin. Here you will find a listing of our customizations. By default, Refined Training pulls the name of the course as the name of the certificate, even when the certificate activity has been given a different name. Administrators can change this setting for their custom certificate types to pull the name of the certificate instead of the course name at the system level or for an individual certificate. To change this for an individual certificate go to the certificate activity, select Edit >>> Edit settings. On the certificate settings page locate and expand "Text Options" and change the "Display Name" to "Certificate Title". Save changes. Note: This setting is configured to work with custom certificate types. 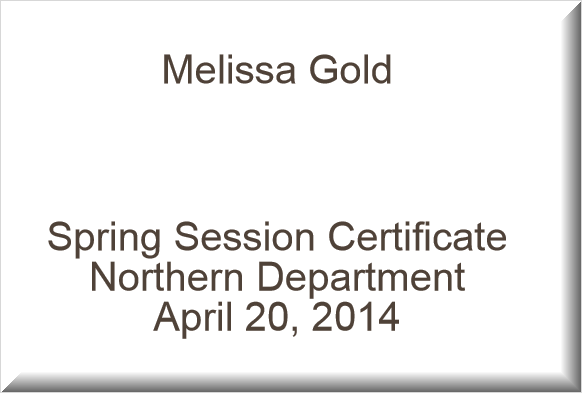 A custom certificate may be required to display the title correctly. Speak to your account representative if you wish to use this option. This option when enabled for a certificate, automatically enrols a student who has achieved the certificate into a subsequent course. This is great when sequence of courses is important. Duration can be set to Unlimited, that is, the student can access the specified course at any time. After a limited duration the student will not be able to access the course. Please see article on Certificate Expiry. See articles on Certificate Expiry and User Certificate Expiry/Re-certification. See article on Certificate Backgrounds, based on user roles. See article on Course Completion Assignment. Ability to automatically email out a certificate at the completion of an activity, including Connect Activities such as meetings and Sign-In Reconciliation. See the articles on Connect Activities and Sign-In Reconciliation. See Flexible Certificates/Completion Report section of Course Completion Assignment Tool. In addition to filtering for completed courses, you can filter for certificates by name of certificate, by course and by user or groups of users, such as all users in a particular course. Certificates now offer a new option called Auto-issue upon completion found inside the Issue Options section of course certificate settings. When selected, this new option issues a certificate when users meet the critieria for obtaining a certificate, if they have not already acquired it. If you would like to schedule the Auto-issue at a different time or more frequently, simply request that your Account Representative schedule this task for you. Usually Activity completion requires users to meet certain conditions, either Student must view this activity to complete it or Student must receive a grade to complete this activity or both. All certificates issued by Auto-issue upon completion appear in the Flexible Certificates/Completion report when filtered for by short name of the course.